Acer Incorporated (TPE:2353) is known for a number of reasons and creating cost efficient laptops is one of them. The technology giant from Taiwan is now taking its game to the next level by launching the all new Chromebook that will redefine low price laptops. Chromebook is the brainchild of Google Inc. (NASDAQ:GOOGL) and was created to bring people close to technology. A number of people used to complain that they cannot afford a laptop and keeping this in mind, the Chromebook was created. 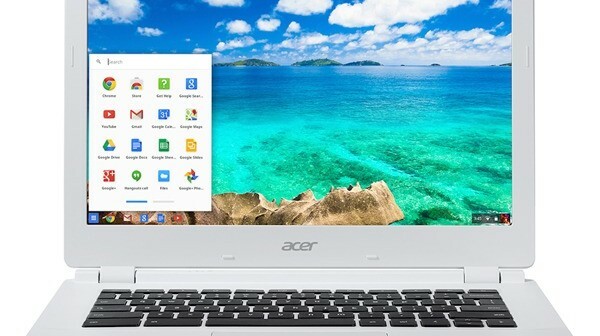 Manufactured by Acer Incorporated (TPE:2353), a new and better version of Chromebook will hit the market this month at the annual convention of Acer Incorporated (TPE:2353). Initially, the Chromebook supported a Celeron processor made by Intel Corporation (NASDAQ:INTC) and it was small in size. Then Hewlett-Packard Company (NYSE:HPQ) entered the market with its own series of low price laptops which were bigger in size and housed a better processor. 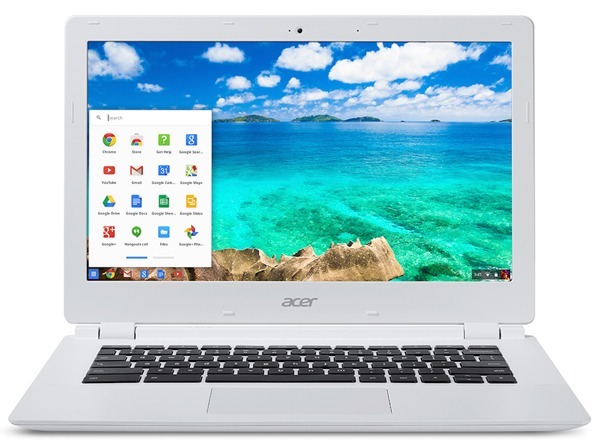 Afraid of being fizzled out from the market, Acer Incorporated (TPE:2353) is launching the new Chromebook known as Chromebook15. The new machine will no longer be an average laptop but will come with a full HD display of 15.6 inches, a 32 GB SSD storage and an extremely powerful core i3 processor. The Chromebook 15, which has been designed to become the market best also has USB 2.0 and 3.0 ports as well and this will make data transfer extremely easy. One thing that should be noted here is that majority of the Chromebook apps run through the support of internet and rely on the cloud server of Google Inc. (NASDAQ:GOOGL). This is also the prime reason why the price of Chromebook is lesser than that of its competitors. Acer Incorporated (TPE:2353) is eying this year to reestablish itself as a prominent brand. Acer Incorporated (TPE:2353), has a number of projects in the pipeline to enhance the end user quality experience. Apart from the introduction of Chromebook 15, Acer Incorporated (TPE:2353), will be upgrading its Aspire V17 Nitro desktop camera with a top of the line 3D camera which will work in collaboration of Intel Corporation (NASDAQ:INTC)’s real sense camera. The 3D camera will add more value to the machine and will be able to sense movements and will have a battery timing of almost 10 hours. Second on the list of Acer Incorporated (TPE:2353) are its Aspire R13 and Aspire S7 Ultrabook. Both models are doing quite well in the market, and yet Acer Incorporated (TPE:2253) want to upgrade them with a fifth generation processor powered by Corporation (NASDAQ:INTC). The processors are not being made public till now by it has been decided that the new models will be installed with the latest processor. Acer Incorporated (TPE:2353) is not an ordinary company and during this month they want to make a new record in sales. The all new Chromebook 15 is a very powerful machine which is very economical and user friendly. This is just the perfect machine for beginners and will be loved by students.